I have recently finished doing some painted Staircases in Devizes. There seems to a current interior design trend with home owners modernising their stairs and banisters. I am finding that clients are opting for painted staircases in white, often leaving a banister with a wooden finish. The combination of the clean white painted finish and the natural grain of the wood creates a great contrast and a light feel. 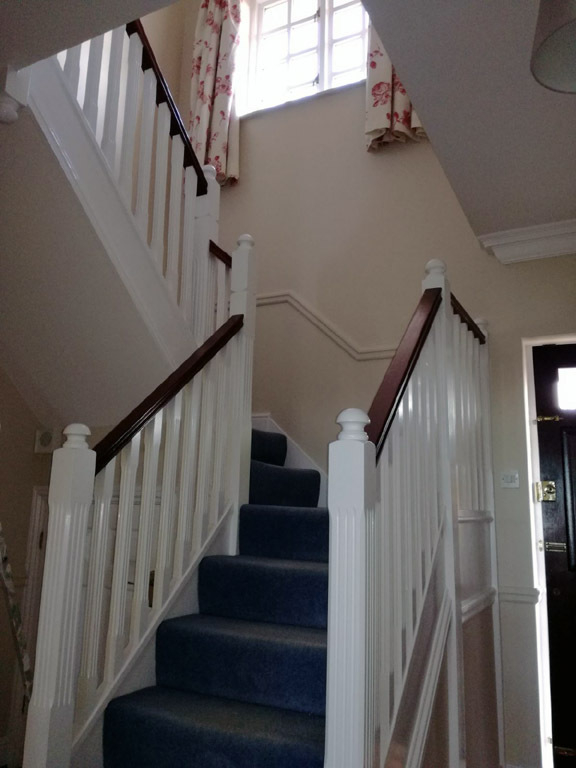 Since November 2017 I have completed 7 staircases projects in Malmesbury, Chippenham, Bremhill, Trowbridge and Devizes! Checkout Pinterest (a great website for interior design and decorating ideas) for loads of examples of the painted staircases. This coming week I move onto Devizes where I’m working on a domestic project for a regular and valued customer. If you would like a free quotation for a painted staircase or any other project, please get in touch.